MANILA — In response to President Rodrigo Duterte’s orders banning police from drinking in public places such as bars and nightclubs, the National Capital Region Police Office (NCRPO) through Chief Director Lorenzo Eleazar confirmed on January 9, it will conduct counter-intelligence operations against officers drinking liquor in public. 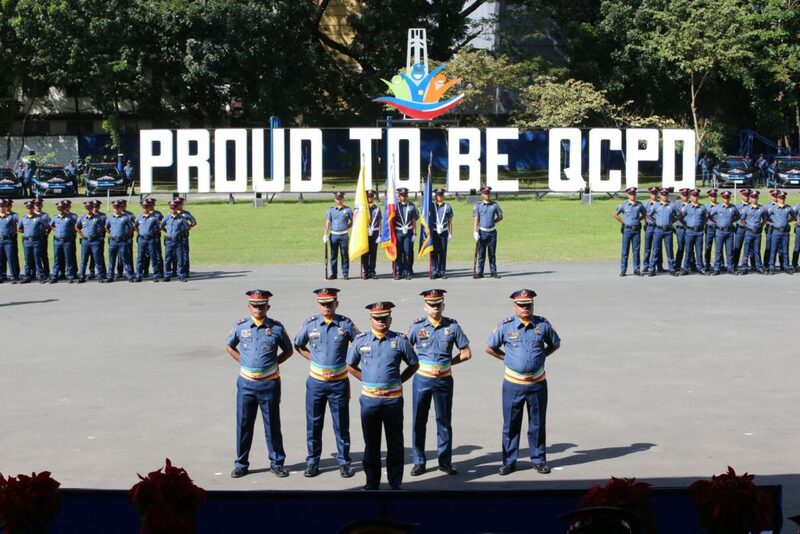 “Those who will be caught could face administrative charges and dismissal from the service for violating the Philippine National Police (PNP)’s code of professional conduct and ethical standards,” Eleazar added, noting officers who will be seen drinking in public when wearing their uniforms not only risk creating trouble but give PNP a bad image. Eleazar also backed PNP Chief Director Gen. Oscar Albayalde’s statement that “places of ill-repute” are off limits to policemen. 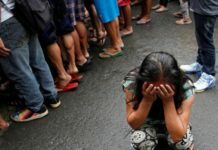 “Secured na secured naman yan at alam naman nating kontrolin yan,” Albayalde said. “We are covered by the code of conduct, code of ethics as a government employee, as a public servant. But as I’ve said just the same nagpalabas pa rin kami ng reminders sa ating mga kapulisan to avoid drinking in public,” Albayalde said in a press briefing according to CNN Philippines. 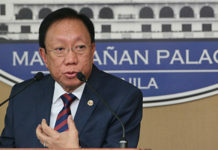 The Armed Forces of the Philippines and Chief Lieutenant Gen. Benjamin Madrigal Jr. are also backed the President’s call, noting they will strictly enforce existing measures. 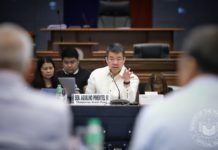 “Lalo nating pinaiigting na masiguro na maipatupad yung kagustuhan ng ating Pangulo,” Madrigal said. In a separate statement on January 9, Department of Interior and Local Government (DILG) Sec. 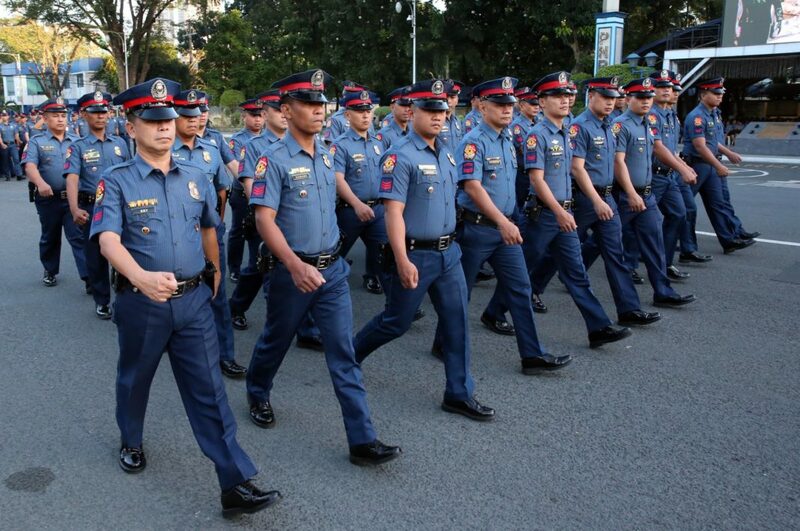 Eduardo Año said cops who are seen drinking in public places may face administrative charges such as dereliction of duty, insubordination, and gross neglect of duty. “We cannot have armed policemen walking around in public reeking of alcohol and not in their best state of mind as it implies lack of discipline among our uniformed personnel. 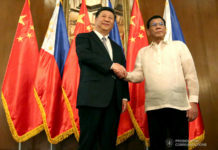 Respetuhin ninyo ang tsapa at uniporme ninyo,” Año said in a statement. 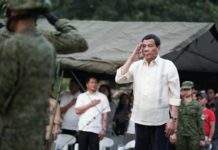 Last January 8, during the Barangay Summit on Peace and Order at the Cuneta Astrodome in Pasay City, Duterte recalled an incident in Davao City, when he was still mayor, where a policeman and a member of the military got into a drunken fight in a drinking establishment. “Do not drink in public. Sa Davao pinagbawalan ko yan, pati kayo na ngayon. All over the Philippines. You do not enter into drinking places,” Duterte said according to CNN Philippines.